Candyfloss hire is fast becoming a popular choice for all types of events. Whether you are looking to inject a little bit of fun into your wedding celebrations, at a christening or truly wish to delight your children and guests at a kid’s party, the candyfloss machine is the perfect choice. Who cannot resists the lovely taste of our cotton candy, which can come in many different colours to suit any colour theme. Our retro candyfloss machines will complement the other hire services that the team at Kelly’s Occasions have to offer too. Sitting side by side with a chocolate fountain is such a tempting and delicious way to treat guests, giving them something a little different. 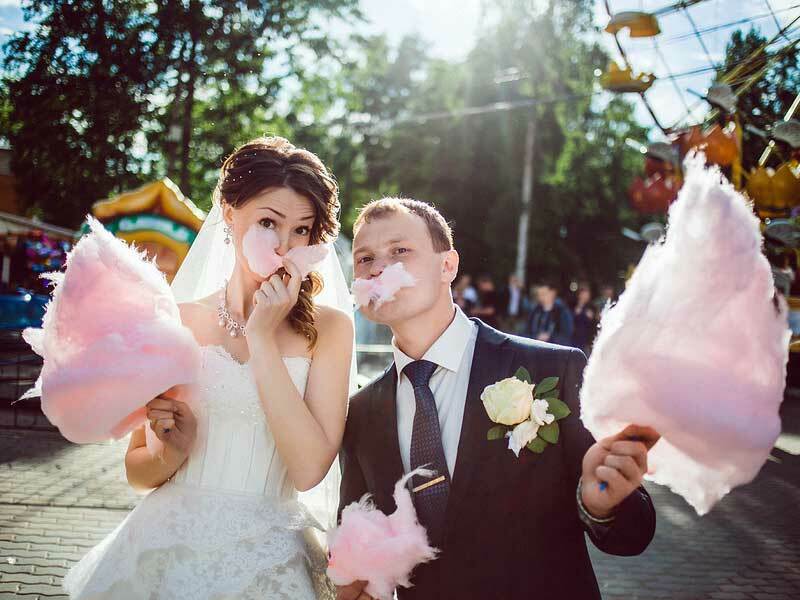 Tasty and sweet, the delicious candyfloss is always popular with guests no matter how old they are and makes a great talking point, ensuring your celebration or party is a memorable one. The candyfloss machine is a great addition to your celebration and it can sit next to one or more of our fruit palms to ensure you have a mixture of healthy and fun treats or can be combined with a candy buffet. In fact, it is the perfect thing to hire with any of our other products and services. 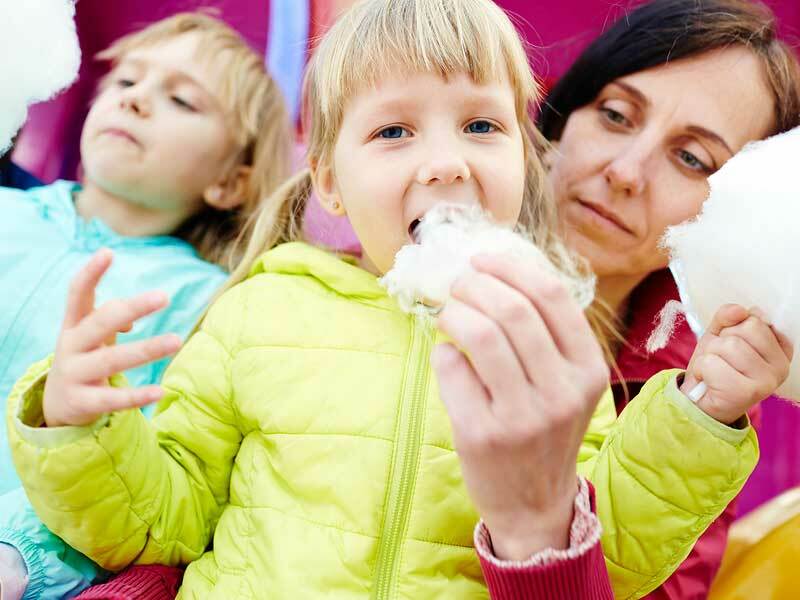 Many of our customers in Essex are asking us to provide the candyfloss machine for their special event, therefore we are able to offer many different deals if you wish to hire more than one thing from us. We can provide the candyfloss machine at corporate and business events. The stand looks great at exhibitions too. What a great way to give something to your visitors whilst networking with them. The candyfloss cart will be supplied at your venue with uniformed operators, providing a professional and friendly service. They will attend your event and supply everything that is needed to keep everyone happy. The operators are certified to work in a hygienic and healthy manner. The cart will be set up professionally in time for your special event. It has been tested to high PAT standards to ensure the safety of you and your guests. We are also fully public liability insured. We will ensure that your candyfloss cart looks fantastic and fits in perfectly with your chosen theme, we can even change the colour of the candyfloss to combine your colour scheme! The sense of theatre or cinema is achieved with the addition of old style cinema style trays and the whole look is fantastic. Who can possibly resist the sweet fragrance of candyfloss? Contact the expert events team today for further details on how to hire your own candyfloss cart and win over your guests. We look forward to exciting your guests, no matter what their ages!